We just said goodbye to this adorable pair of owls as their new owner picked them up for his wedding where they'll be a centerpiece display. We loved them so much that Mark carved a second pair which will be finished in the next week. 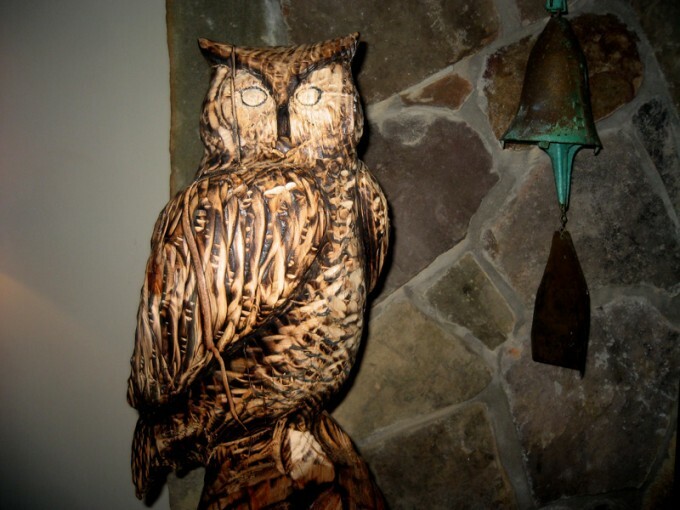 Mark has been working on an owl with a carved base. Mark completed the Bald Eagle this weekend! Amazingly, all of the detail in the wings was done with the chainsaw. 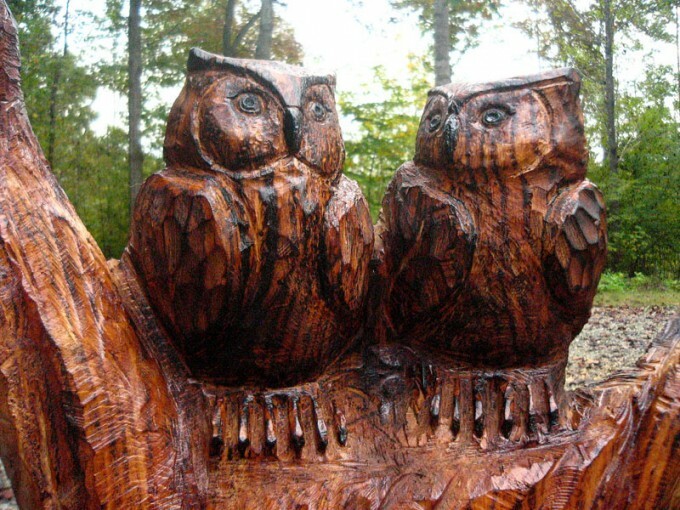 Other woodworking techniques were used in the process, including burning the detail around the eyes and talons. 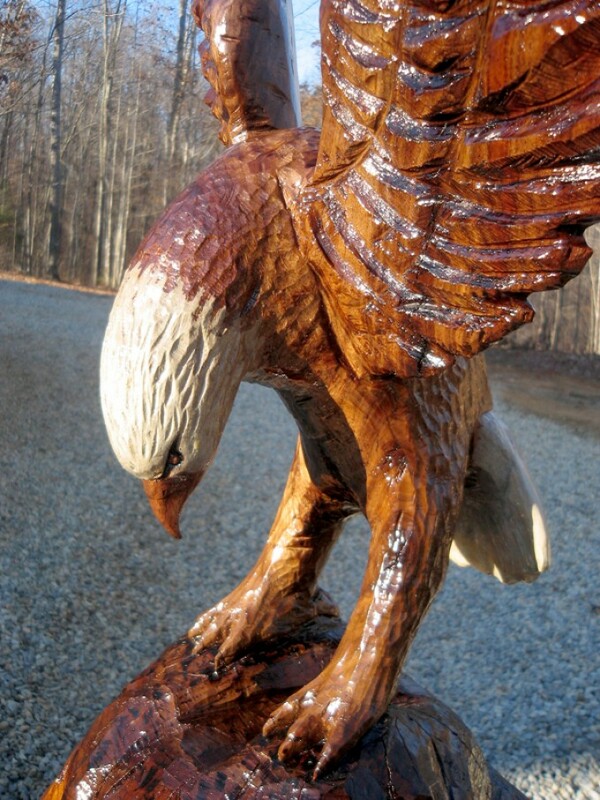 A whitewash stain created the head and tail feathers, and the gloss finish tied the whole piece together. View the eagle's gallery page.